There’s no escaping the fact that winter is here and that, with it, so are icy and snowy roadways. 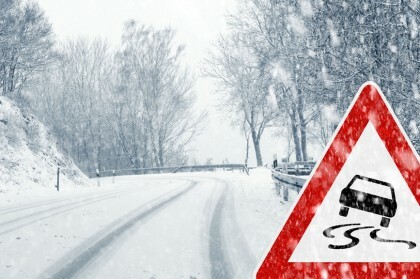 If you have not driven in more extreme winter conditions in a while – or if you have a newly licensed driver in your household, now is a good time to review some essential winter driving tips that could help you and all of the drivers in your family minimize your risk of getting into serious motor vehicle accidents this winter season. In this article we’ll identify some of the most important winter driving tips that all drivers in colder locations should be familiar with so they can appropriately maneuver their vehicles in icy and snowy conditions. 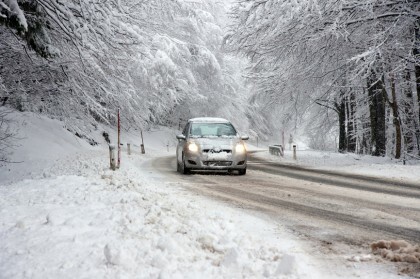 In the event, however, that these tips do not help you avoid motor vehicle accidents this winter, be sure to contact the Portland motor vehicle accident lawyers at the Savage Law Firm. We have the experience you can count on for superior representation, aggressive legal advocacy and the best outcomes for your case. Winter is here. 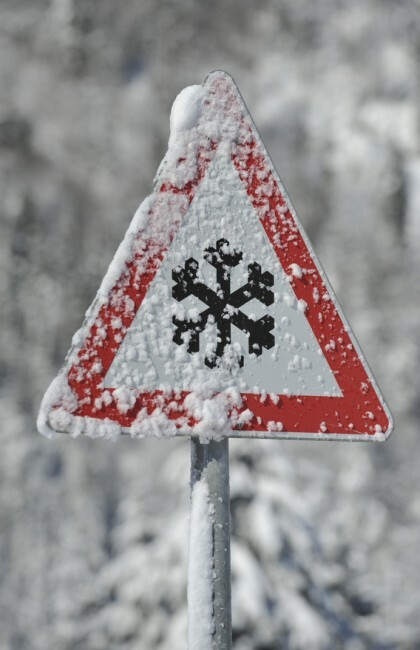 Are you familiar with some essential winter driving tips to stay safe on icy roads? If not, check out this blog series. If you have been hurt in an accident, contact us. Check your tires regularly – About once a week, make sure that your tires have the appropriate amount of air in them. This can easily be done with a portable air pressure gauge, and you can find the ideal tire pressure for your vehicle’s tires in the owner’s manual for your vehicle. Keep at least half a tank of gas in your vehicle – Avoid running your gas tank below the half-way mark, as this can increase your risk of a gas line freezing. Drive when you are rested, sober and alert – Because the challenges of winter road conditions require immediate responses from drivers, be sure you are ready to pick up on and respond to these challenges by being attentive and sober behind the wheel. In other words, don’t drive if you are tired, intoxicated or will be distracted. Don’t use cruise control on icy roads – Again, because icy winter roads can present some unique driving challenges, it’s best to avoid using features like cruise control. Warm up your vehicle in an open area – Avoid warming up vehicles in enclosed spaces like garages, as this can lead to the buildup of potentially deadly carbon monoxide gas. Here are some essential winter driving tips for longer road trips. Contact us if you’re in a traffic accident this winter – or any time. We are here to help you. Check the weather ahead of time – When you are heading off on a long road trip during the winter, checking the weather can help you plan the best route for your journey, as it can help you minimize the poor weather and road conditions you may end up facing.Here, it’s important to note that, if the weather conditions are especially poor for any part of the road trip, you may want to consider putting off your trip or using an alternative method of transportation. Fill your gas tank at least half-way full – While you drive, be sure to keep an attentive eye on the gas gauge, and be diligent about stopping when the needle falls below the half-way mark. Being conscientious about keeping at least a half tank of gas in your vehicle when you are taking longer winter road trips can be critical to avoiding gas line freeze ups and to helping you get to your destination safely. Items to keep you nourished and entertained if you end up having to wait for hours for help, such as non-perishable foods, water, a radio, a magazine, etc. If you will be driving in the snow this winter, here are some essential winter driving tips that can keep you safe. If you are in an accident, however, contact us. We can help you obtain the compensation and justice you may deserve. Take it slow – After a snowfall, the roads will likely offer minimal traction even to vehicles with the newest tires on them. So, make sure that you drive more slowly than you usually do and that, ideally, you go a little bit slower than the posted speed limits.Speeding on snowy roads is a recipe for disaster, as it not only increases the risk of skidding and spinning out, but it also makes it far more likely that motorists will be involved in serious traffic accidents. Leave more head room between vehicles – Given that snowy roads naturally provide less traction for vehicle’s tires, do yourself a huge favor this winter by leaving plenty of head room between your vehicle and any vehicles you may be following.In fact, it’s generally a good idea to double or even triple the amount of head room you leave between vehicles, as this will ensure that you have plenty of time to slow down and stop your vehicle if a motorist in front of you slams on the brakes, if you suddenly spot an object in the middle of the road or if a collision may seem imminent for any reason. Familiarize yourself with how your vehicle operates differently in snowy conditions – Your vehicle’s brakes and tires are not the only equipment that may operate differently on snowy roads, especially if your vehicle is a little bit older. So, make sure you understand these nuances of how your vehicle handles differently in the snow.If you have recently purchased a new vehicle or have never driven in the snow before (or for a while), then it’s generally a smart idea to do some safe practicing in a remote or empty area so that you can get a good idea of how you may need to operate your car differently in snowy conditions. Stay home – Although you may have to go out and drive on snowy roads sometimes, if and when possible, try to avoid driving in such risky conditions by changing your plans, seeing if you can work from home, etc. The fact of the matter is that, even if you are a very safe and attentive driver, you cannot control the actions of others on the roads and you don’t know others’ skills when it comes to driving in snowy conditions.So, don’t put yourself at more risk than you need to if there is an alternative to your current plans and you can avoid driving on snowy roads. Have you or someone you love been hurt in any type of motor vehicle accident? If so, don’t hesitate to contact the Portland motor vehicle accident attorneys at the Savage Law Firm. To learn more about our legal services and what we can do for you, call us at 503-222-0200 (in Portland) or at 206-957-7272 (in Seattle). You can also email us using the form on this page. We represent clients in communities in both Oregon and Washington from our offices in Portland and Seattle.